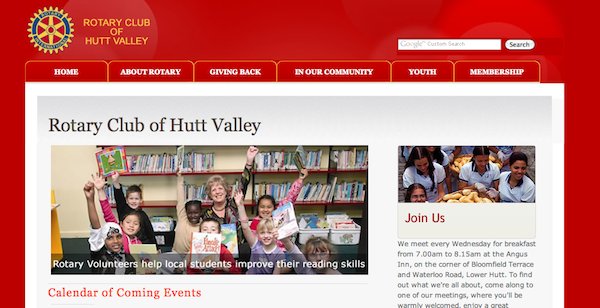 Each year we do a pro-bono project for a community organisation. So far we we dont have a deserving candidate for 2011. Take a look at some of our past pro-bono work and apply to us at Spiral if you think we can help you. The website meets the goals plus it provides a "members only section" for club notices and information. 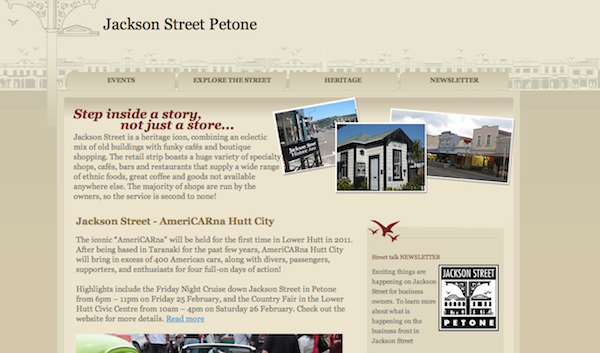 Jackson Street is a heritage precinct managed by a locally elected board and funded by a levy on local landlords. Many people contribute to making Jackson Street a success story. The street is growing in popularity, not just with the locals with people coming from outside the region to visit the street. The old website was dated, boring and did not reflect the old world charm and diversity of the street so we revamped it. 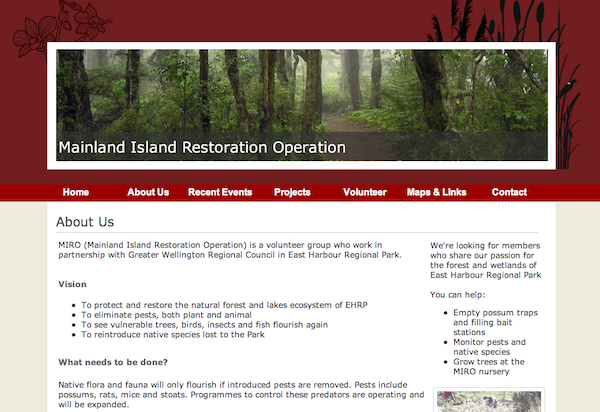 The website includes our CMS and is simply maintained by one of the volunteers. and maybe a sprinkling of Twitter. We work best with organisations that have a person committed to managing the web presence of their organisation and have strong content writing skills or the ability to engage a content writer for the website. To submit your organisation for consideration please email Audrey with a short paragraph about why you need our help.